I was very lucky to have been chosen to try out the Nutribuddy breakfast kit and let you guys know what I think of it. 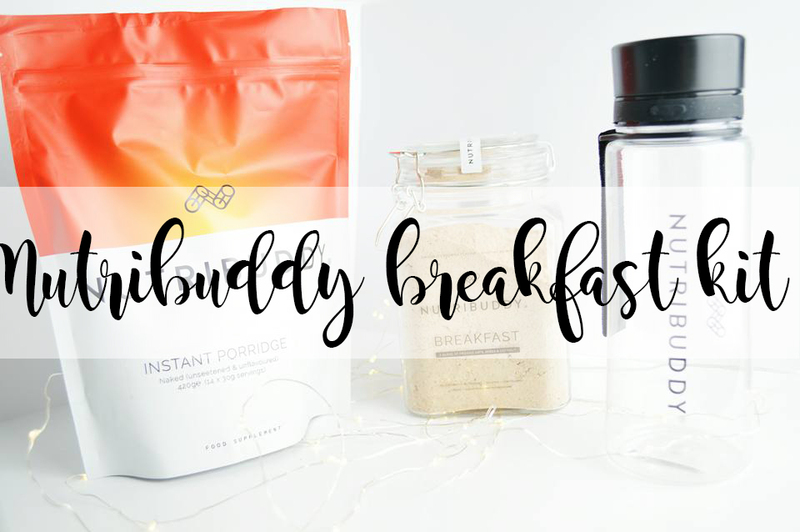 I think this breakfast kit is such a brilliant idea as not only does it provide you with very yummy tasting shakes which are easy to make and you can take them on the go. But they also provide you with a large packet of porridge for the days when you have a little bit more time to spend on your breakfast. Not only is this breakfast kit suitable for vegetarians and vegans, but it is gluten, lactose, sugar and soy free and it's low in calories; so it's perfect if you're trying to lose weight too! I personally absolutely love the packaging design for this brand. It stands out as it's a beautiful shade of bright orange, but it is also very simple. The porridge provides you with packaging which you can re-seal so you do not need to worry about your oats going off extremely quickly. (I'm absolutely rubbish when it comes to folding over the top of cereals). I also love how the breakfast shake comes in either chocolate brownie or vanilla; so if you're not a chocolate person like myself, then you have another option to choose from. I am completely in love with the jar which the shake powder is provided in. It's perfect for anything, even if you're finished with the shake powder; you can use this to make your own granola or even your own breakfast shake powder for when you're on the go! It saves you buying one from the shop too! I am always eyeing up these types of bottles, I think they're simple yet beautiful and I just love the idea of everyone being able to see what you're drinking. 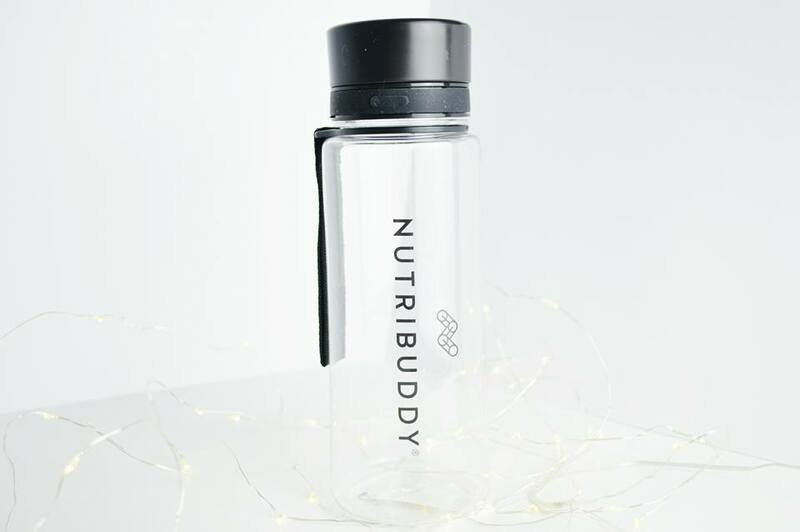 This is perfect for when you're on the go as it has a strap to hold over your wrist, and a twist off lid so you are able to take it anywhere with you without it spilling! This is also anti-leak so you do not have to worry about getting the breakfast shake down your work clothes whilst you're commuting. 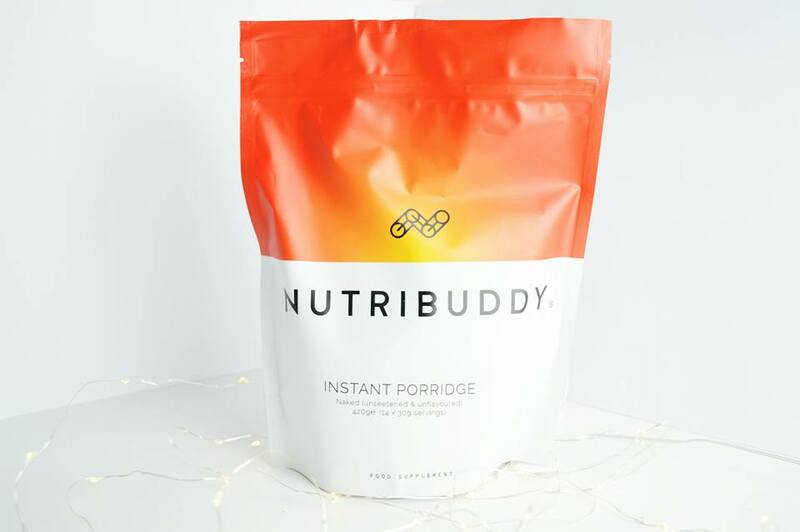 I absolutely love the Nutribuddy breakfast kit; it's easy to use and whip up every single morning whether you're in a rush and running late or if you have a little bit more time before you have to leave your house. I especially enjoyed the taste of the breakfast shake, I chose chocolate brownie as I'm more of a chocolate kind of girl than vanilla; and honestly, if you put ice cream in this, it would be a chocolate milkshake; it's so tasty! 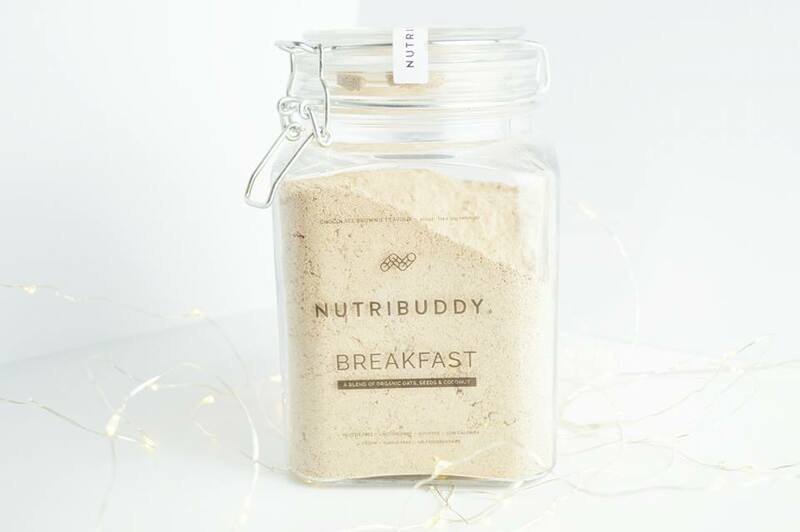 If you're looking for a healthy change when it comes to your breakfast, definitely check out Nutribuddy for healthy porridge's or breakfast shakes which will keep you feeling full all morning!